Two other boats will join Marianne in the Eastern Mediterranean. To avoid problems of sabotage, details of the journey are being kept secret. The coalition expects to reach Gaza by the end of June. Yet the two previous Freedom Flotillas never made it to the besieged enclave. In 2010, Israeli forces killed nine activists on board the Turkish ship Mavi Marmara while it was still in international waters. In 2012, the Israeli army boarded another pro-Palestinian vessel, Estelle, off Gaza’s coast and took all 30 passengers to the shore in Ashdod, Israel. Opperdoes was one of them. “After long interrogations, they accused us of entering the country illegally and deported us,” he told Ma’an. Deportation came with a 10-year ban from re-entering Israel. 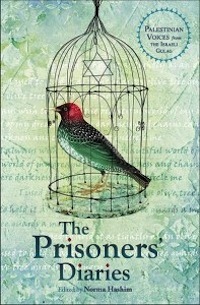 Although a long-time Palestinian activist, Opperdoes has never set foot in the occupied Palestinian territories. The Israeli Foreign Ministry declared in May that Israel “will not allow unauthorized vessels to enter its territorial waters,” the Jerusalem Post reported. Despite a slight easing of restrictions by Israeli authorities this year — exports to Israel were increased along with travel permits for businessmen — severe travel restrictions for the majority of Palestinians still remain in place, and entering Gaza is only possible by land via Israeli and Egyptian controlled crossings. But Ann Ighe, a spokesperson from the Ship to Gaza Sweden, said the flotilla coalition would enter Palestinian, not Israeli, waters. “We do not recognize Israel’s self-taken role of not only controlling everything that comes in and out of the Palestinian territories, but also of stopping people and blocking imports and exports,” she said. If the Israeli forces attack Marianne, which is sailing under the Swedish flag, it could lead to diplomatic repercussions between Israel and the European country. “If Israel hijacks the boat, this will happen on Swedish territory,” Ighe said. Relations between the two countries cooled off at the end of last year when Sweden officially recognized the state of Palestine. To protest the move, Israel recalled its ambassador from Sweden, although he returned to work a month later. The humanitarian situation in Gaza remains critical after last summer’s six-week long war between Hamas and Israel, which killed 2,220 Palestinians, mostly civilians, and 73 Israelis, the majority soldiers. Over 17,000 housing units were destroyed and 560 factories and businesses damaged in the war, according to Israeli rights group Gisha, and more than 10,000 Palestinians are still living in UN shelters, compounding a 42 percent unemployment rate in the territory. “Thus far, not a single home destroyed in operation Protective Edge [summer 2014 Gaza war] has been rebuilt,” said Eitan Diamond, Gisha’s executive director. 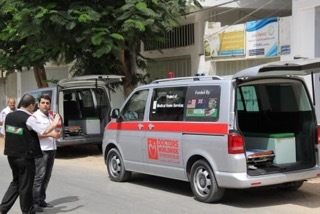 On board, the Marianne is carrying one solar panel to al-Shifa hospital and medical equipment for Wafa hospital, both in Gaza City. If everything goes as planned, activists will also leave the fishing trawler for Palestinian fishermen to use. “The people in Gaza never have electricity all day long. Solar panels could be a sustainable solution for the power shortage,” Ighe said. The spokesperson admits that bringing only one solar panel is mainly a symbolic message. Sending humanitarian aid to the Gaza Strip is already a double-edged sword. “Aid is clearly needed, but at the same time foreign governments — including Sweden — are using their taxpayers’ money to finance the occupation, as Israel does not carry out its responsibilities as the occupying power,” Ighe said. 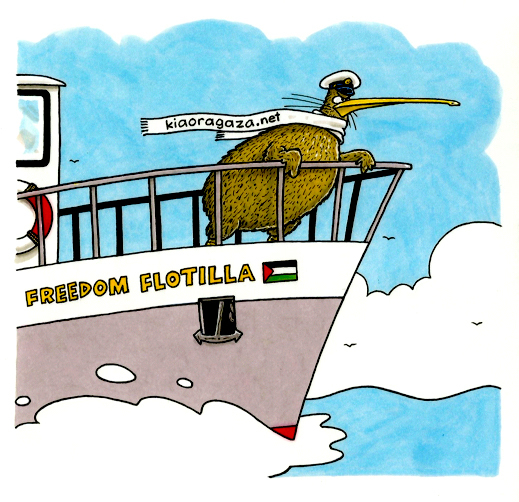 Another objective of the Flotilla Coalition is to raise awareness about humanitarian conditions in Gaza. Marianne has stopped in several ports across Europe to meet with local activists, and has even hosted public figures and journalists on board. Former Tunisian President Moncef Marzouki has confirmed he will be on board during the last phase of the journey, as the boat approaches the shores of Gaza. “In every corner [of Europe], there have been people who do not know what is going on in Gaza,” Opperdoes, the captain of Marianne, said. According to Gisha’s executive director, Eitan Diamond, the first flotilla in 2010 had a “tremendous impact” and even forced Israel to alter some of its most repressive policies in relation to Gaza. All of the activists on board have declared that they will continue trying until the Israeli blockade is lifted. 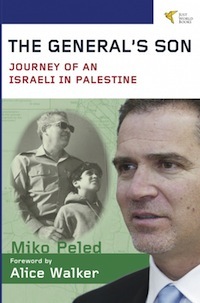 Only then can the people of Gaza set sail on a trip across Europe — or even just reconnect with Palestinians in the West Bank, a mere 40 kilometers away.